Here's Derpy from the episode Rainbow Falls. Woohoo! Download the Zip file for the AI Vector and Image files. Edit: Includes image of Derpy without the flag. Here eyes look so shiny. 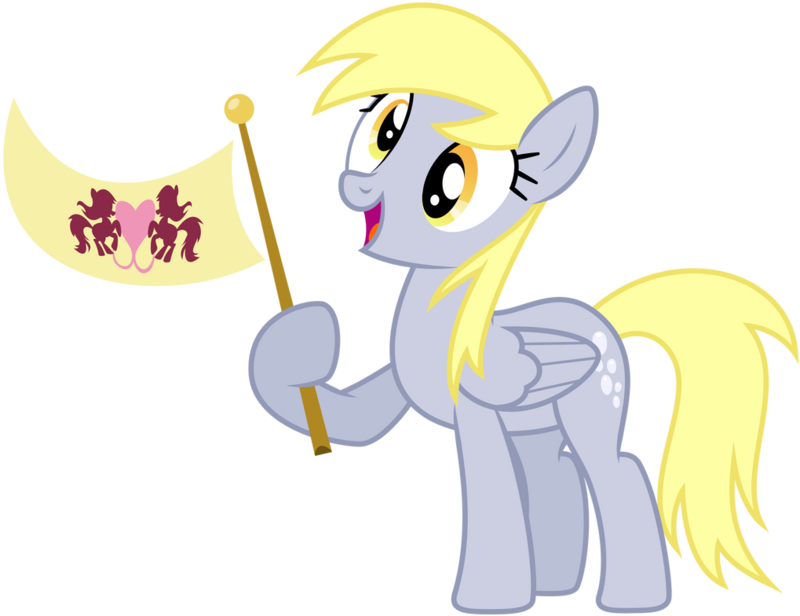 Derpy will be in the 100th episode of My Little Pony. jasminepony-bases.deviantart.c… I hope this is alright! There is none; they're one and the same. Ditzy Doo was Derpy's original name, but people started calling her Derpy because of the way her eyes were, and the name stuck. And I think Ditzy is a mean name, I love Derpy better! If she gets censored again odds are the fandom will burn down Hasbro's HQ. I was so happy to see this! Can i use it for my art? I give you a credit! Yay derpy! We missed you. Oh my gosh, oh my gosh, oh my goooosh! Just when I thought she wasn't going to show up like she used to. What a great entrance, waving her flag and looking totally adorable. The creators were so smart to keep her from appearing in other episodes just to blow our minds with her long-awaited return, I take my hat off to them. Permission to make as base? I won't be unhappy if you say no. How do people vector her so fast when Fleetfoot speaks for the first time and there's still no vectors of that?! I meant why are there no vectors of Fleetfoot from the new episode. Because she stole the spotlight, just like in 'The Last Round Up.' The fans love Derpy. "DERPY! Oh my God, she's back! Ohoho, this is GLORIOUS!" I was so happy! 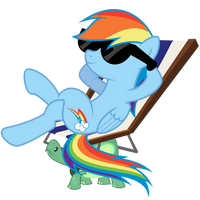 *squee* At first I didn't like the episode, thought it was meh at best, but Derpy totally saved it. She's wonderful! I still would of loved the episode even without Derpy, but that's just my opinion. Same here. I wasn't gonna like because Fluttershy kept getting squished by Bulk Biceps but when I saw Derpy I said "YES!!!!"